At Spiru Haret University, on 31th of May 2017, was carried on the first focus group of the third QAREER intellectual output. 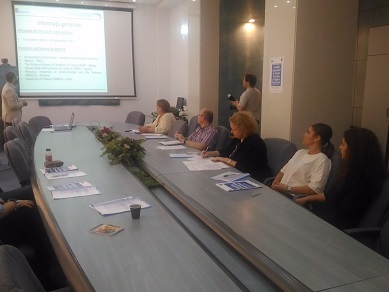 At the focus group participated specialists in career guidance from Spiru Haret University. The proposed standards and guidelines were discussed regarding their applicability in the university and suggestions were made towards their improvement. On 7th and 8th of March 2017 the third transnational project meeting took place in Madrid, Spain, hosted by UNIR. To the event participated representatives of all QAREER project partner institutions. On 19th of May 2017, at University of Padova, Italy, was held the QAREER IO3 focus group. 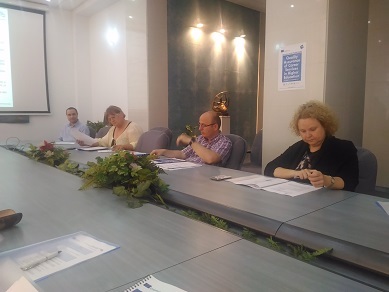 To the event participated persons from the project target groups to discuss the applicability of the standards and guidelines developed within the project. At UNIR, on 9th of May 2017 an online meeting was organized in the frame of IO3 intellectual output of the QAREER project. 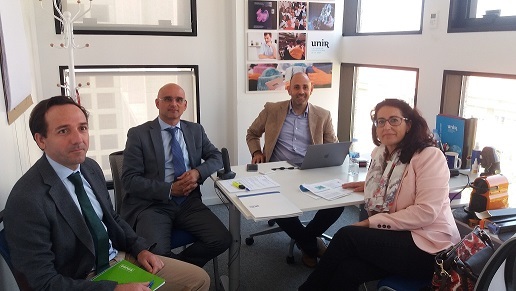 The online meeting was followed, on 22nd of May 2017 by a face to face meeting where interested parties from UNIR discussed the standards and guidelines developed within the QAREER project. On 24th of April 2017, at Wrocław University of Environmental and Life Sciences, in Poland, was organized a focus group to discuss the standards and guidelines developed within the QAREER project, intellectual output 3. On 28th and 29th of June 2016 the second transnational project meeting took place in Wroclaw, Poland. To the event participated representatives of all QAREER project partner institutions. On January 26th and 27th took place the project kick off meeting. 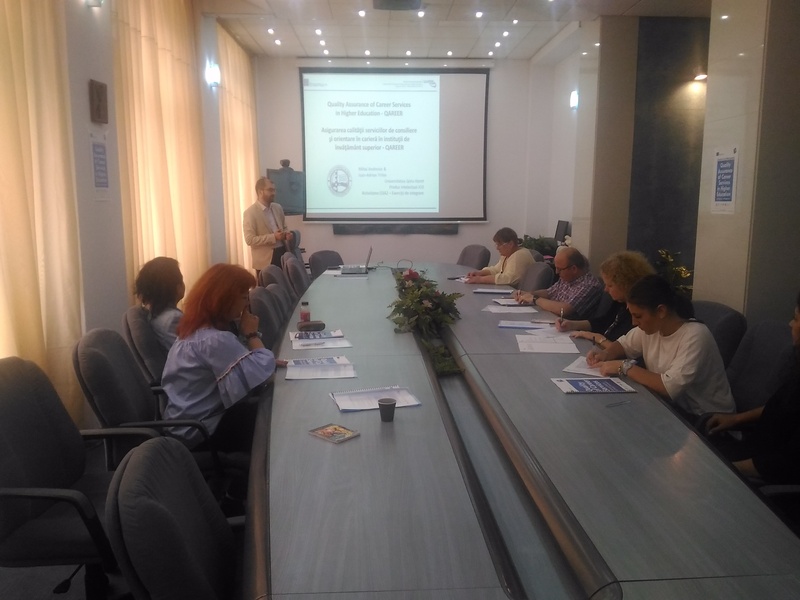 Representatives of all partner institutions met in Bucharest at the Spiru Haret University headquarters.